This program is only for people who have completed a formal 6th chakra focused shamanic training program with psychic skills from a rose-based training school. Graduates from schools other than The Audacious Spirit must complete an interview process before being considered for enrollment. Enrollment may require satisfactory completion of core-skills training. You've completed rigorous 6th chakra skills training, now it's time to OWN that training by focussing on your crown chakra. This program is designed to not only expand your creative use of the tools you already know, but also to have you work the energy of seniority. Owning your crown chakra means you have worked the energy of the things in life that have always sought to own you. You will work the energy of religious control, governmental control, family control, guru control, and any and all energies that TAKE control of you. Graduates of this program will learn to be comfortable and capable as spiritual practitioners. Whether you intend to create a professional practice or not, you will benefit from spiritual leadership training. Learning to be senior to pain and problem energy was an important focus in your clairvoyant training, but learning to be senior to the energies that arise from being seen, heard and trusted is another journey altogether. The shamanic minister's sacerdotal duties range from healing and counseling individuals and communities to being asked to officiate at ceremonies and to set the energy for sacred spaces. Holding space for spiritual sanctuary requires a crown chakra that is tenured in holding the vibration of neutrality and amusement. This program will take you on the journey to making this amazing step. Look at the energy of people, places and things that make you .. you. Each class will involve readings and healings on the topic an its affect on crown chakra ownership in this life and beyond. You will learn a Threshold Centered Transmutational Healing Method that will be repeated in each class so that mastery will develop over time. The Energy of Your Birth - How do astrological energies affect who and how you are? What is the energy for YOU behind astrological trends like full moon cycles, retrogrades, etc. What planets and stars are you all about? The Cult of Personalities: How do cultural phenomena affect your self-hood and your crown chakra? Is Kim Kardashian better than you? Is the Dalai Lama more spiritual than you? Where do you belong in the cult of personality? Where do you want to go? The Cult of Spiritualities: How do the beliefs held by others in this world affect your beliefs? How does the action of believing work for you? What deities have you met or do you want to meet? What is science really and can you be both a scientist and a spiritualist? Death & Rebirth: What have you been taught and what are your feelings about dying? What voices have schooled you on death that have set the vector for how you will die? What lies beyond physical death if anything for you? How does death energy visit you throughout life and why? Your Relationship with Animal Spirits: As a human what kind of affinity do you have for animals? What animals have mattered to you in your life? We will look at our genetic information and its resonance with non human animals. We will also look at how connection to animal spirits can be conscious and unconscious as well as creative and destructive. Your Relationship With Plant Spirits: From medicines to food to fertilizer, plants and humans have an intertwined purpose. The spirit of a plant has many intelligences within it. We will practice connecting with that intelligence, examining what relationships with plants we already have and learn to build new ones. Throughout this module you will learn advanced meditation, healing and reading tools. You will learn to incorporate some breathwork into your meditation space. You will also deepen how to deliver spiritual counseling to people by understanding the nature and dynamic of human relationships within this world. Module B: Being a Crown Chakra in the World - Your Ministry. Your Calling. Your Crown. - What does it mean to have an owned and seniority-striving crown chakra in your everyday life? You will practice and examine the current state of your crown chakra and set goals for its future attainment. "Ministry" is whatever you choose to make it, but make no mistake, you will wear the mantle of ministry in this life. You may choose to wear that mantle passively and simply resolve to be a freer spirit in a body and shine brighter than most because you can, or you may choose to wear the mantle more aggressively and choose an expression of your ministry that necessarily involves others. In any case, wherever you go and whatever you do, your minister's crown will go with you. Throughout this module you will engage in intensive examination of the content and functioning of your crown chakra. You will completely understand what "ownership" of a crown chakra means, and you will become sensitized to the different states of being you and others inhabit when confronted with both common and uncommon life experiences. from 11:00am ET to 1:30pm ET. Membership includes reading and crowning in the graduate reading space, healing in the healing circles, and energy checks from staff as needed. If students wish to continue onto Module C with the intent of becoming licensed, certain program requirements must be met throughout the full 21-month program. All students will be required to sign and return a Shamanic Ministry Program Agreement document. This document will outline specific requirements for each module. Month-to-month: $200 -- You will sign up for a month-to-month payment plan that will give you the option of renewing every month. That way you can restart the plan any time you are ready to take another set of classes, or you can just continue on until you complete the whole program. You can cancel at anytime. Commit to 6-Month Module A (Starting March 2019): $1,100 -- Save $100 over the month-to-month payment plan. Commit to 6-Month Module B (Starting August 2016): $1,100 -- Save $100 over the month-to-month payment plan. Commit to 12-Month Modules A & B: $2,100 -- Save $300 over the month-to-month payment plan. Commit to the the Entire 21-Month Program (includes Module C - see below): $3,800 -- Save $400 over the month-to-month payment plan. By clicking below, you will be taken to our commerce area. 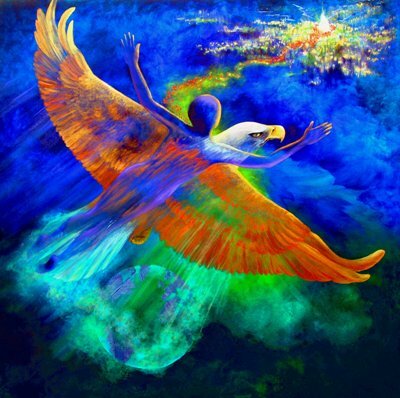 You will have the opportunity to choose which plan and which modules you want to sign up for by clicking the Shamanic Ministry Program Class and then "Show Full Pricing." Don't worry about enrolling in each specific class. We will take care of that. Simply purchase the plan you want. Everything is sacred. Bringing the awareness of sacred energy into key moments in people's lives is an important role of the shamanic minister. Discerning what is sacred and how to access the divine is unique to everyone. This module does not teach you how to "do" a rote ceremony. It teaches you to find within you the creativity and sacred resources to create your own. Exploring the state of being that the word sacred refers to means we will explore the terrain of the crown chakra leadership and tools including trance-level mediumship. This module focuses on pulling all the pieces together into a whole. We call this wholeness for the shaman a Quantum Presence. This presence is described by how well you manage the multiple layers of awareness you gain in the multiple layers of reality that exist. This presence is as unique as a song and indeed it is the song of your soul. This module involves primarily tutorial and one-to-one work with Richard and Trish. You will also be required to fashion and wear your teacher's hat. You will confront guru style relationship and ideations already in your space and develop experience and neutrality to those gurus outside your space. You will learn to teach spiritual tools to others from the vibration of your quantum presence and set the energy for the attainment of spiritual freedom for all. Death & Rebirth, Last Rites, Coming of Age, Baptism, Marriage … How do you approach ministering to life transition.